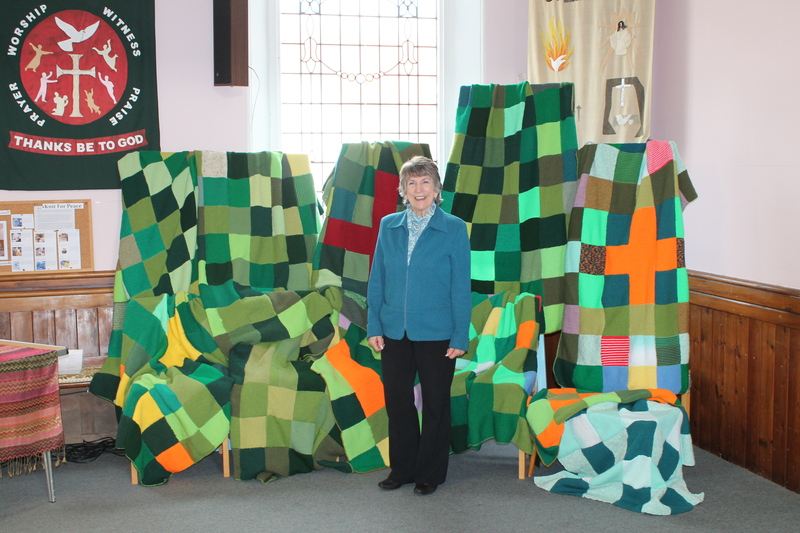 This collection of blankets, modeled by organizer Sheila Norris, was knitted by volunteers using the knitted squares from the Christchurch Communitree. These eight blankets were then sent off to the charity KNIT for PEACE. Following this a new knitting group has started at Christchurch and anyone who likes to knit is welcome to come and join us at Christchurch on the first Wednesday of each month at 2.30pm.